We believe that all people need to serve others; so that as the body of Christ we can actively experience Christ in this world. Service to others is crucial to our life as followers of Christ. Through faith we are set free that we may serve others in God’s name. 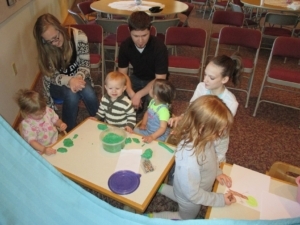 Through fundraisers, mission trips, Habitat for Humanity builds, offering food from Joseph’s Granary, and many other service projects, there are plenty of ways that individuals can serve here at Long Lake Lutheran Church. Pay attention to the calendar of events for service opportunities or contact us with questions!